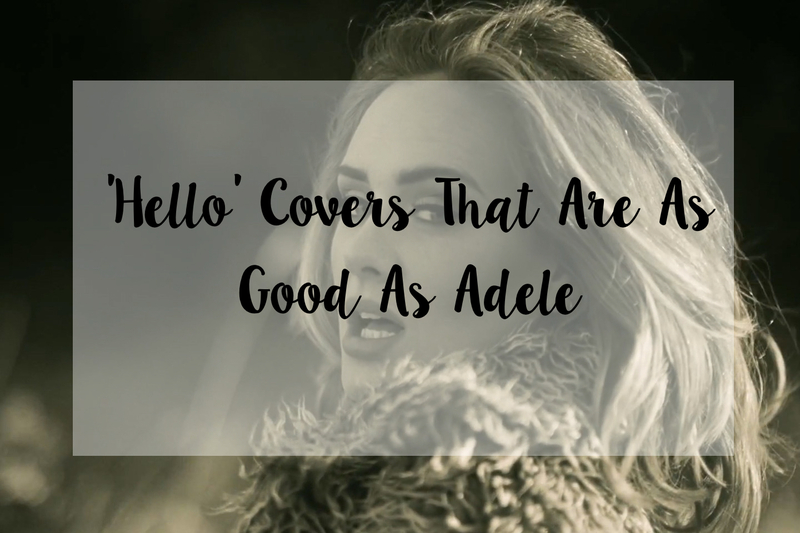 So Adele's broken numerous world records for her new album 25, but what about some of the amazing talented people who have made covers of her hit song 'Hello'? I'm going to list a few, but not say too much about them because I want you to go and listen for yourselves and see if you agree. This video is the first one listed if you search 'Adele cover' on YouTube and for good reason. With over 16 million views, Sanchez covers the song and shows off his amazing voice. There's a little autotune, but that doesn't take away the charm of his vocals. He's had 5 Top 10s in the UK chart, but that doesn't stop him creating covers of other people's songs. This one is quiet to start with as Maynard is singing, but has a strange twist as it's featuring Anth, who raps quite a few verses to bring some diversity to their cover and makes it stand out from the rest. Nicole Cross' soulful voice comes across in this cover, which shows why it's got over 2 million views. Her American accent doesn't hinder the song at all, it just shows off her raw talent and solid voice, giving me goosebumps - I'm sure you'll agree. I don't understand Korean so I don't know what her name is, but she covers Adele so well even though English isn't her first language. She doesn't even use a microphone, so it's literally just her voice. It's a little quiet so sometimes hard to follow, but still amazing. Also the person playing piano behind her has got real talent, so no wonder they both go to Seoul Music High School. This cover has no words, but is just as amazing as the others. Carrara's very talented with his piano work, as he makes the song really come alive and makes you want to listen to it over and over again, even when there's no lyrics. Mikey Bolts does something really different with 'Hello'. as he performs it in voices from popular cartoons such as Family Guy and South Park. He changes the lyrics to match the characters and their personalities, but it's still as awesome as the others. This cover is really clever, as Vincent sings 'Hello' in 25 different styles using different bands' way of singing; bands ranging in genres from Rock to Pop and even some 80s stars like Lionel Richie. What makes this cover even more amazing is that Vincent does all of the singing and instruments himself, as you can see in all of the different clips in the video. It's doing the rounds on the Internet, and I'm not surprised at all. I love this song, can't wait to check out these covers. I always enjoy listening to covers and seeing how people adapt them to their own styles. Thanks for sharing!